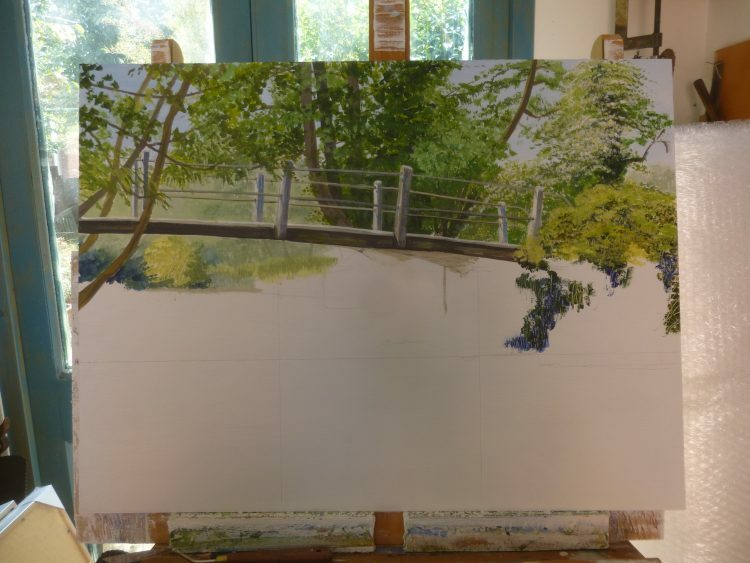 Making slow progress with Stratford St Mary: Early Summer. From mid morning it has been too hot to paint in my studio. Too hot for me, and too hot for the paint, which dries up on the supposed-to-be ‘stay wet palette’ while it is uncovered. 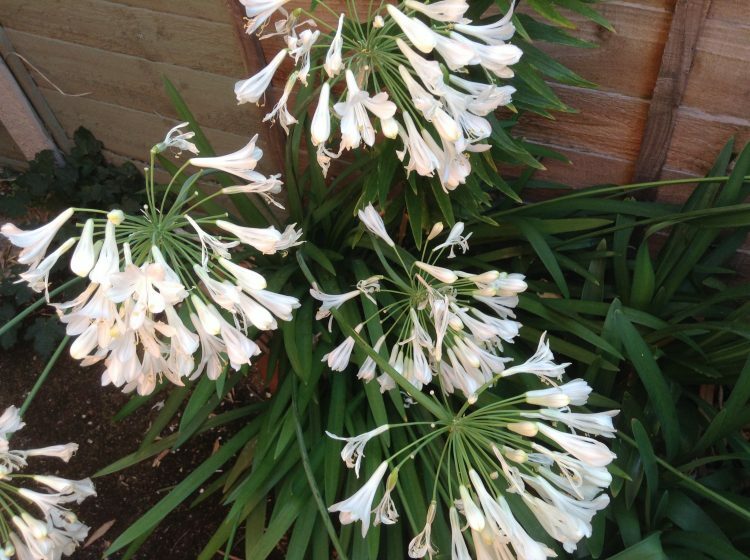 The agapanthus are still flourishing in the garden . 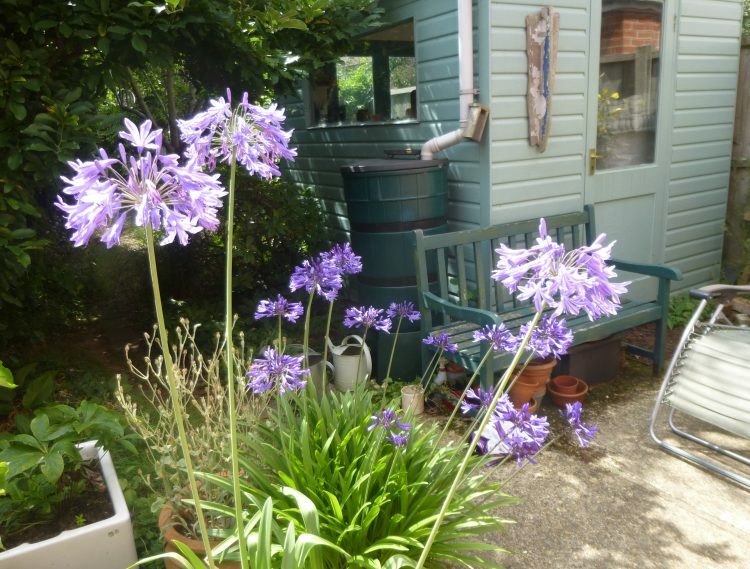 . .
and the fuschias and tomato plants are doing well – because I keep watering them – but everything else in the garden, along with me, and I guess everyone else in the East of England, is just longing for RAIN!! Which is forecast for tonight – along with cooler temperatures over the weekend! Phew!